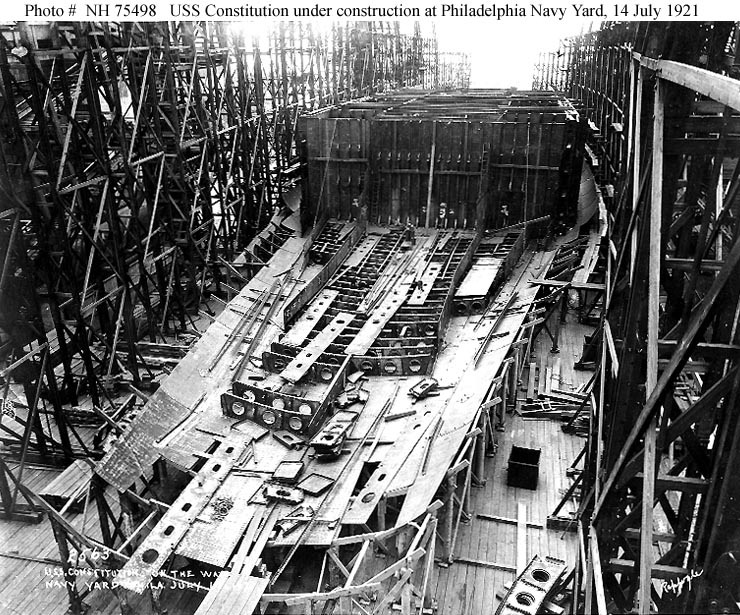 Under construction at the Philadelphia Navy Yard, Pennsylvania, 14 July 1921. Photographed by Replugle, looking aft from the bow area with the bulkhead at Frame 75 in the center. The double bottom beneath the forward magazines is being installed in front of that bulkhead. Construction of this ship was halted by the Naval Limitations Treaty in February 1922. U.S. Naval Historical Center Photograph #NH 75498. Under construction at the Philadelphia Navy Yard, Pennsylvania, 14 July 1921. 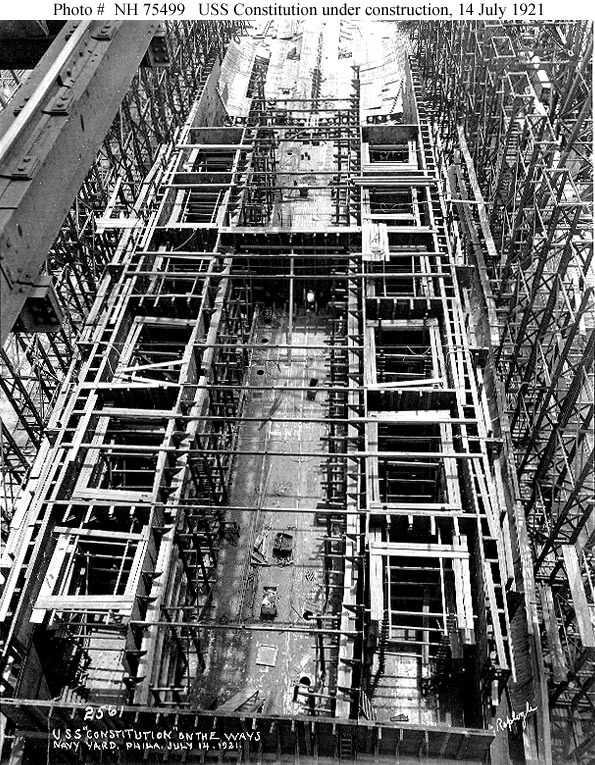 Photographed by Replugle, looking aft with the bulkhead at Frame 75 at the bottom. This view shows the ship's arrangement amidships, with two very long centerline machinery spaces, each with four boiler rooms to each side and torpedo protection bulkheads outboard of the boiler rooms. The after machinery space bulkhead and the aftermost four boiler rooms have not yet been installed. Construction of this ship was halted by the Naval Limitations Treaty in February 1922. U.S. Naval Historical Center Photograph #NH 75499.